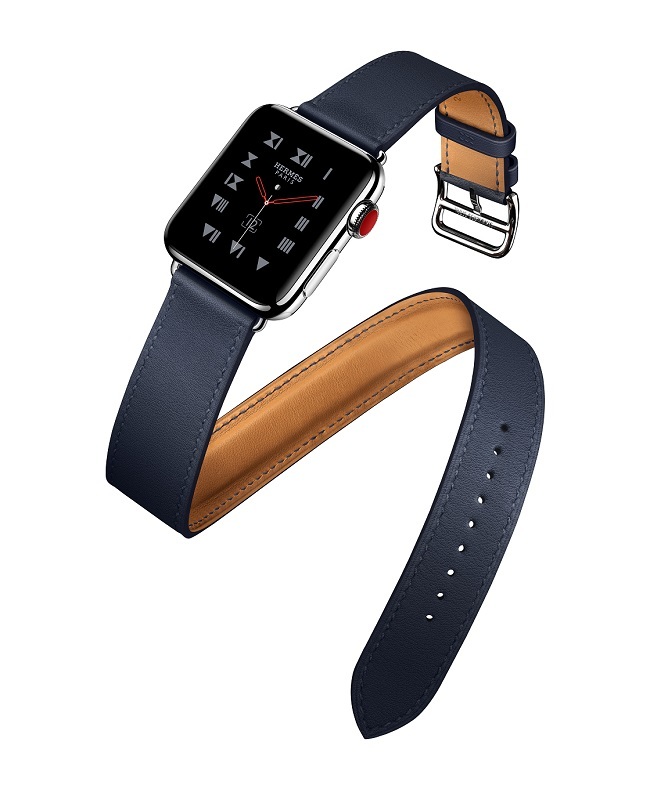 Apple Watch x Hermès 2017 collection now features new bands and colors, and a new watch face. 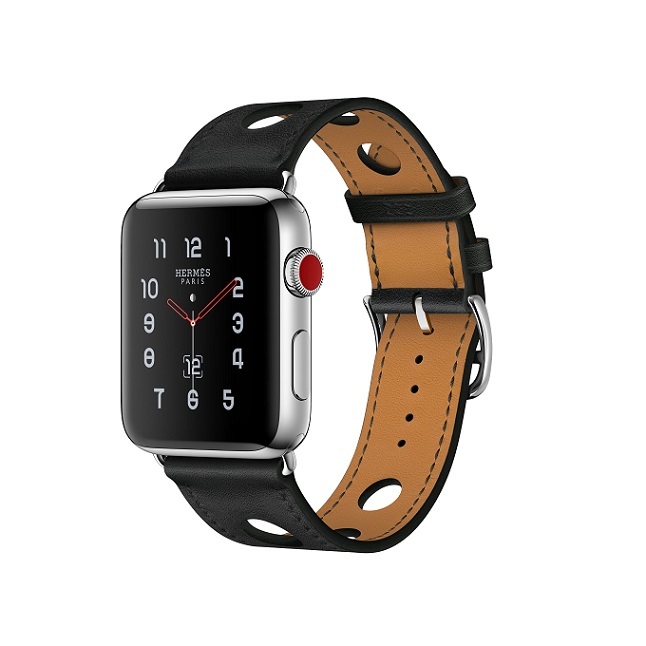 Apple Watch Hermès Series 3 models come with built-in cellular and pair with a striking collection of new bands includingthe Single Tour Rallye in perforated Gala calfskin, inspired by the classic Hermès driving gloves, and the Single Tour Éperon d’Or in printed Gala calfskin, inspired by the equestrian scarf pattern designed by Henri d’Origny in 1974. A new watch face, inspired by the Carrick Hermès watch, also designed by Henri d’Origny in 1993, completes the existing selection of Hermès watch faces. 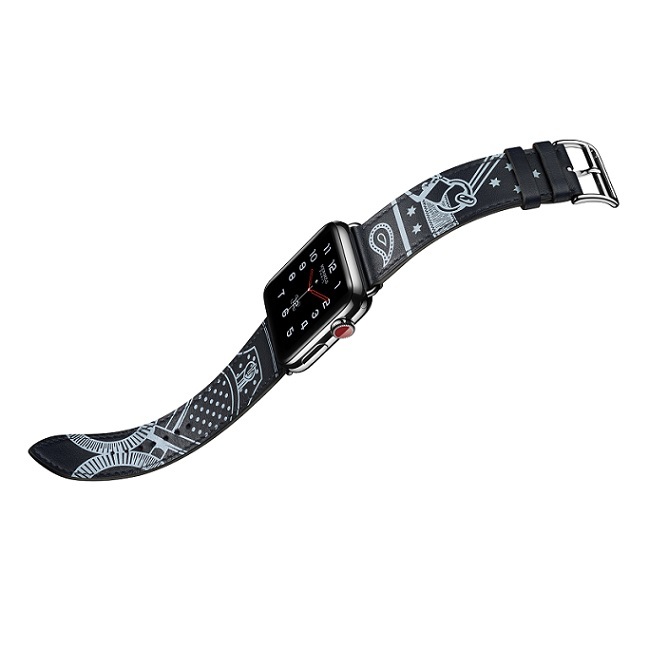 Apple Watch Hermès Series 3 will be available to order on apple.com/fr beginning today with availability beginning Friday, September 22, 2017 on hermes.com and in Australia, Canada, China,France, Germany, Japan, Switzerland, the UK and the US.